Amongst the many different groups and individuals worldwide arguing for a new economic system, there is considerable agreement not only about what urgently needs to change but also on the goals and main ingredients of the much -needed new system. Such a system would focus on maximising wellbeing, meeting the fundamental needs of all humans, regenerating degraded ecological and social systems, and living within local and planetary ecological limits. A new book of which I am a co-author “A Finer Future” covers in detail the elements of such a new system. Where there is much less certainty and agreement is: how to bring this desired new system into being? How to make it happen? This was the critical question that exercised myself and colleagues during my 12 years at the New Economics Foundation (NEF). For many years our theory of change was to produce ground-breaking reports based on thorough research and to disseminate the findings through compelling communications backed by both insider lobbying and outsider campaigning in alliance with others. We then often formed partnerships with communities and civil society to demonstrate that these new approaches worked in practice. All this is necessary but – as we came to realise – not sufficient. Organisations and individuals working together across sectors and at different scales to create a vanguard power base. There are many organisations already doing fantastic work on each of these elements. 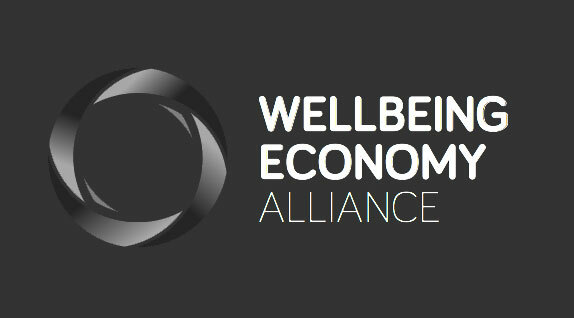 WEAll (the Wellbeing Economy Alliance) has been created this year not to duplicate this work or compete with it but to amplify it so that together we can catalyse the necessary system change. Already, over 30 international networks, coalitions and organisations have joined WEAll as members. A small amplification team has been set up; coalition building work has commenced at three levels- governments, cities and businesses; an international group of academics are collaborating on areas where wellbeing economic theory is insufficiently coherent; narrative groups are being established; and a number of country level cross-sectoral groups are being formed including WEAll Scotland. WEAll members include Local Futures and Happy City: the co-hosts of the Bristol 2018 ‘Economics of Happiness’ conference which runs from 19-21 October. This conference will focus on system change to put human flourishing and happiness at the heart of a new economic system. I am delighted to be participating in this conference and believe that it will be an important step towards the goal so many of us are working for. Some people argue that system change will only happen when there is a further massive economic crisis. We believe that this is a dangerous argument; history shows clearly that major crises not only cause serious harm to the least powerful people but can also provide fertile ground for the rise of deeply unpleasant variants of populism and nationalism. Furthermore, the time for action is now – not tomorrow! Together we already possess the power to change the system. Join WEAll in making this happen. Stewart is a keynote speaker at the Economics of Happiness conference in Bristol, UK (19-21 October) – find out more and get tickets here.